Earlier in the year we updated the Moodle Course Creator Certificate (MCCC) for Moodle 2.5. 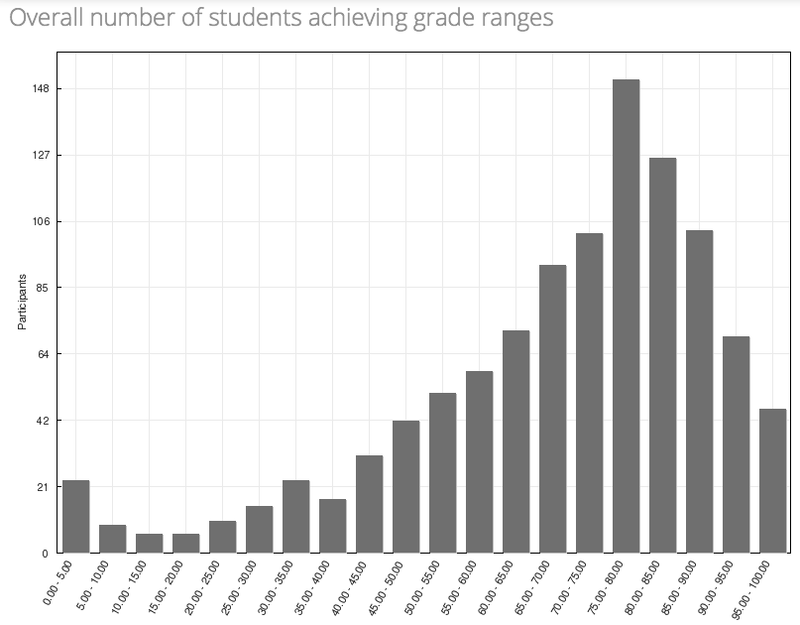 As part of this I took a look at the statistics of attempts in the orientation exam – which gives anyone registered on Moodle.org a chance to try a short version of the exam. The actual exam requires 80% or higher to pass, and these statistics show that around one-third of attempts are above the required pass mark.